I’m not 100% sure where this issue of DETECTIVE COMICS came from. I’m pretty confident that I didn’t purchase it. It may have been bought for my younger brother, which is the most likely explanation, or it may have been a book that I was traded at some point. In any case, it has an Ernie Chua/Ernie Chan cover that I actually like, the black background solidifying up the figures somewhat and decent reproduction. The worst I can say is that there’s a lot of dead space at the top, due to the manner in which the BATMAN logo is shoehorned in up there. Chua is also the artist on the lead story in this book, and here his work looks better. The reproduction is better, if nothing else. His Batman figures, as was so often the case with his super heroes, look a little bit bloated to me, like air-filled balloons rather than human beings. But as Batman himself is the only fantastical element in this story, that issue is mitigated, and Chua could draw everything else convincingly. 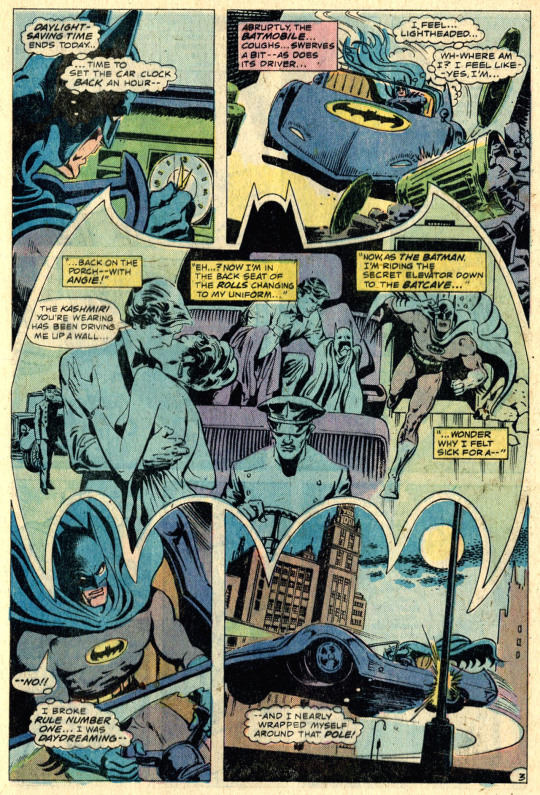 The story opens with Bruce Wayne finishing up a date before switching to his Batman gear and heading off on his nightly patrol. 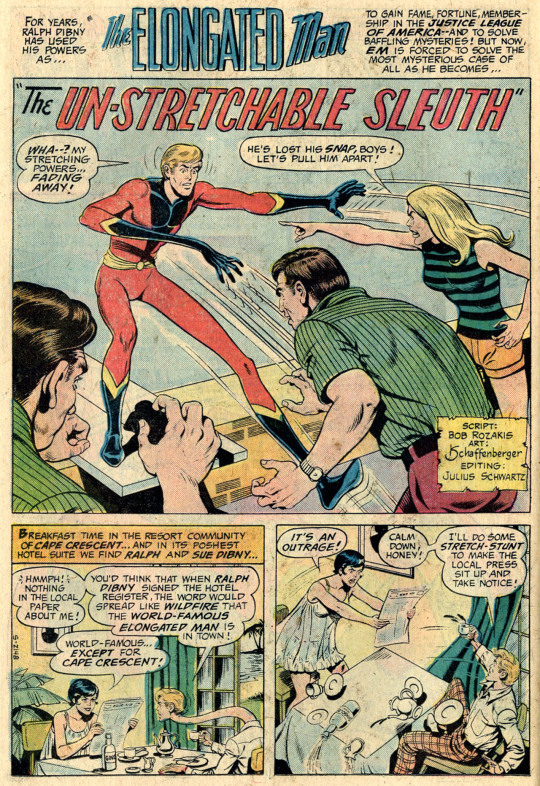 But as he does so, he begins to get light-headed, experiences hallucinations and is disconnected from reality. He’s affected so badly that he almost cracks up the Batmobile. He’s got no explanation for this–he says that, remarkably, he’s gotten 9 hours of sleep in the past 24 hours. Must have been a slow week in Gotham. 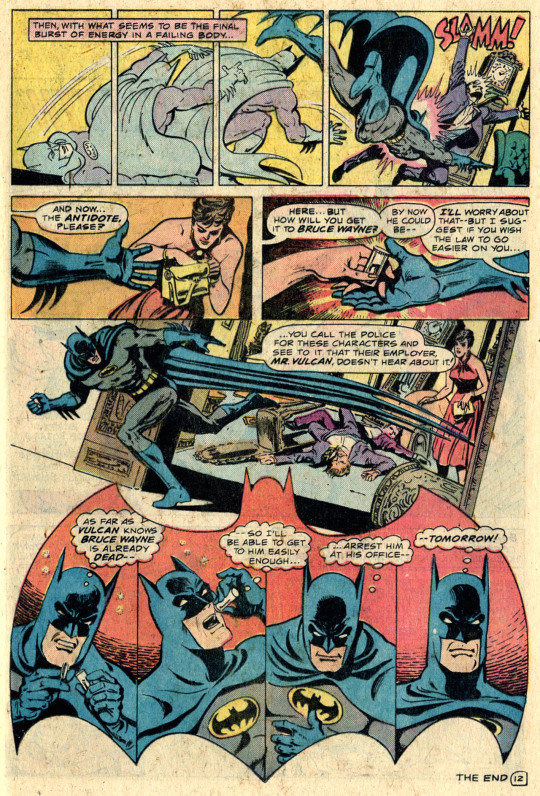 As Batman comes across a gang pulling a high-rise heist, the extent of his debilitation becomes apparent, as he has a tough time subduing the perpetrators, and he continues to be plagued by delusions and weakness. Fortunately, the office that’s being looted belongs to a doctor, and the man’s apartment is conveniently next door, so Batman stops in to ask them to call the cops to pick up the heisters before he passes out in front of the Doctor and his wife. Upon reviving, the doctor confirms what Batman has already realized: he’s been poisoned, and only has perhaps an hour of life left. There is an antidote, but ti would take longer to concoct than Batman has left to him. And so, hopped up on stimulants to keep him going, Batman heads out into the night, adopting a disguise to venture into the underworld in the hopes of tracking down the person who poisoned him, hoping that they’ll have the antidote to hand. But no dice, nobody is talking about having poisoned the Batman. With the clock ticking down, Batman realizes that the target wasn’t Batman, but Bruce Wayne. 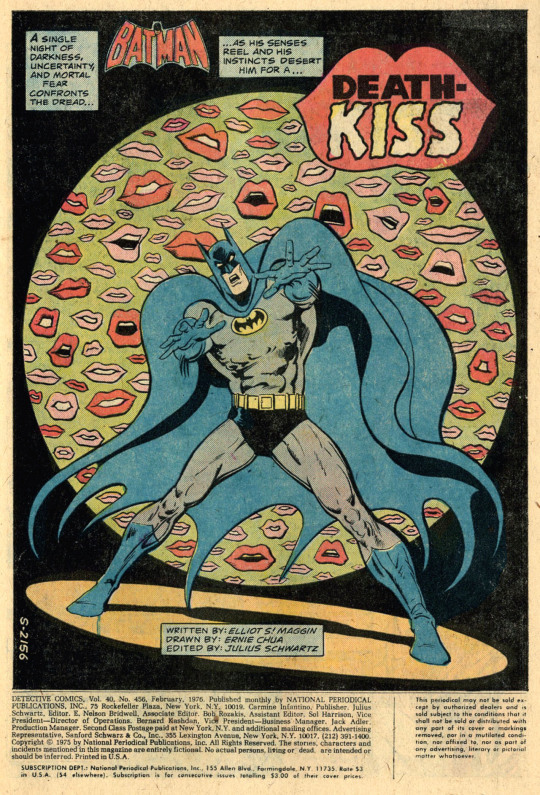 As both the cover and the title of this story have already given away, the girl Wayne was out with earlier had poisoned lipstick, paid off by a business rival to eliminate Wayne. 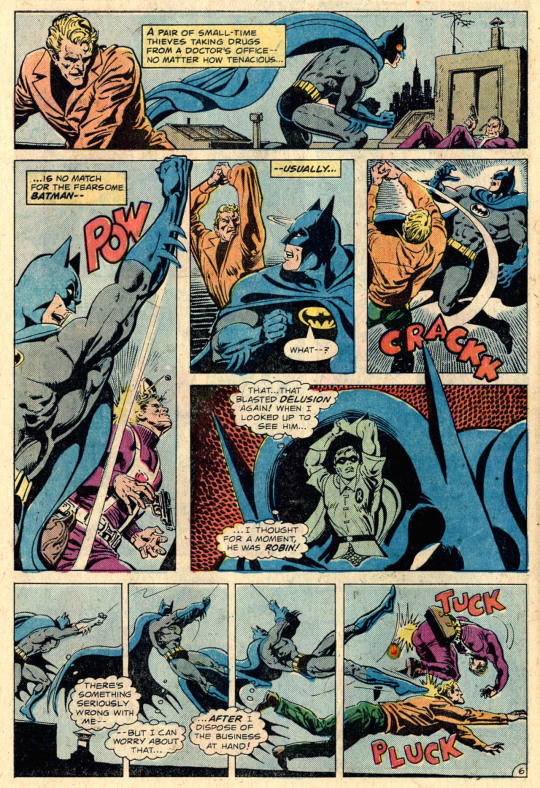 Despite his debilitated condition, Batman swiftly tracks down the culprit, beats up a few hoods, and secures the antidote for himself with only seconds left. 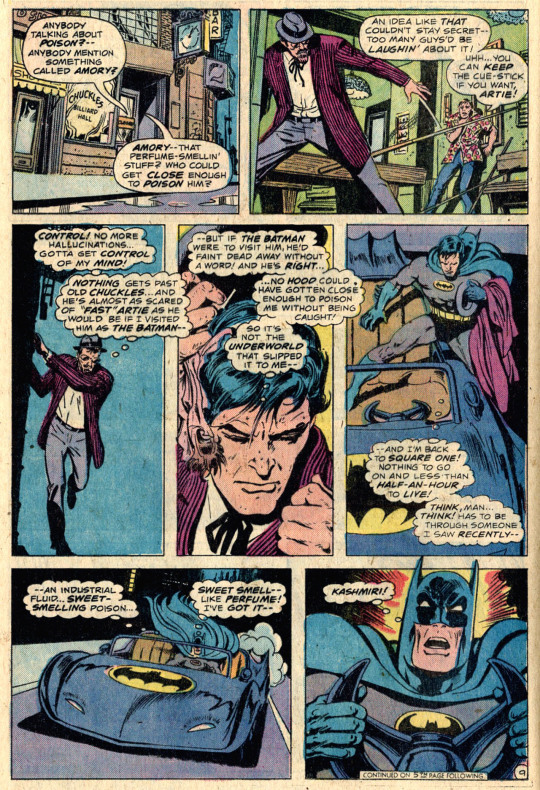 The story wraps up so quickly that Batman doesn’t even nail the businessman behind the plot, but merely indicates that he’ll track him down tomorrow as the story runs out of pages.